As endless as the winter months can seem, the freezing temperatures will soon give way to the warmth and sunshine of spring. It may be difficult to see the (sun)light at the end of the tunnel, but it is important for professional organizers to start planning now for spring cleaning! If you live in a climate that experiences winter each year, you know firsthand that spring is a time of renewal. Plus, it’s often the best time to clean and organize the home. As you begin to plan (and look forward to warmer days ahead), use this guide to help your clients get their homes clean, organized, and ready for the warmer months! Cold weather makes us want to hibernate, so it’s no surprise that your clients have spent a great deal of time cooped up indoors throughout the winter months. As the professional organizer, your first order of business will be to bring some fresh air into the home—throw open those windows and doors! Allowing the fresh air to circulate will not only clear out the stale feeling within the home, it will also get your clients motivated. Next, bring some fresh blooms into the home—the warmer the weather, the more choices you’ll have when it comes to plants and flowers. Start by bringing in lilacs or lilies, which bring a soft scent to increase the feeling of spring renewal. 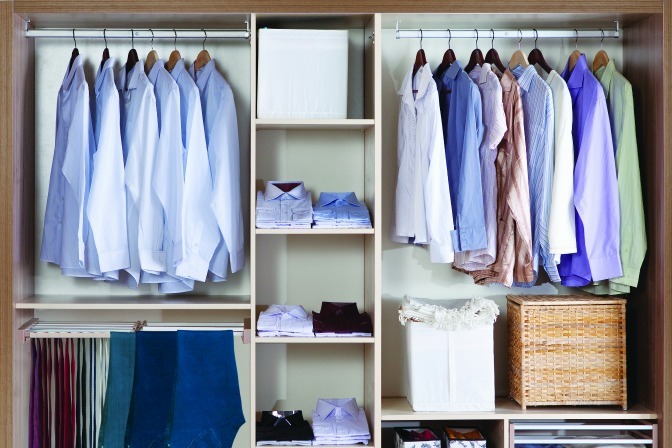 Closets: Whether full of jackets and boots in the entryway, or entire wardrobes in the bedrooms, closets should be a main focus as you begin your spring cleaning. There are many ways to organize closets to avoid overstuffing, and the dawn of a new season is the perfect time to put things in order! Home offices: These spaces tend to become catch-all’s for various documents, and paperwork can pile up very quickly! Discuss the home office with your client to determine what purpose it serves and how often it is used, and then depending on the state of the room, employ some tools such as a filing cabinet or desk file organizer to store documents. As the design professional, some advice to provide your client is to choose one day a week to devote to this room (including vacuuming, dusting and putting paper in its proper place). Basements: In terms of neglected spaces in the home, basements are high on the list! As the spring sunlight begins to trickle in, assess the clutter in the basement and create three categories: keep, donate, toss. As your client explains how much they use (or don’t use) a particular item, begin to rid the space of excess clutter to make a quick difference. Garages: Garages are second only to basements as catch-all’s for unused items, especially during the winter when items such as bicycles and lawn equipment need to be tucked away. The garage is also not a desirable place to spend a winter afternoon organizing. But when the warmer weather arrives, encourage your client to get out there and use the same decluttering system as the basement (keep, donate, toss), as well as these storage systems. 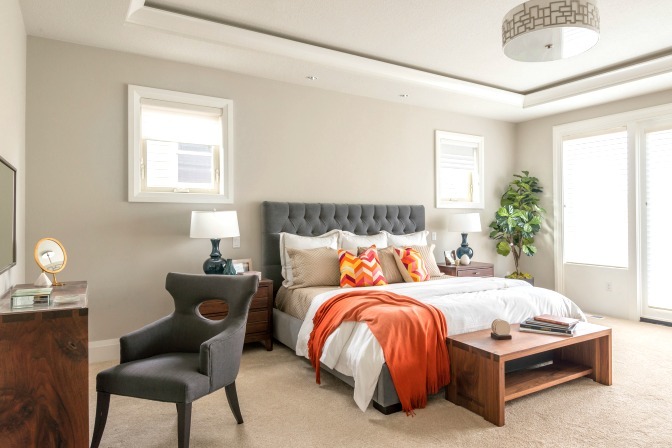 Bedrooms: Bedrooms are highly used spaces in the home. With the spring sunshine already bright, there’s never been a better time to employ some DIY tricks! Purchase some colorful, yet practical, storage boxes for your client to store their winter clothes in (bonus points if the containers can slide underneath the bed!). Or, use chic baskets to store winter duvets and extra blankets in. Playrooms: Playrooms are sanctuaries for children during the winter months, but once the temperature starts to rise they become abandoned in favor of days spent outdoors. Don’t let that playroom be forgotten in the summer months—be sure that toys and books are tucked away in a neat and orderly fashion, and that storage solutions such as stylish boxes, buckets, and baskets are used to keep items off the floor. This will create the illusion of an even bigger space. Spring is a time to refresh the home and renew the spirit, so keep spaces simple and clean! Less general items leads to less clutter, so channel your inner minimalist. Follow the tips above for each area of the home to bring your clients an organized and fresh feeling as they begin a new season. Do you love restoring order to people’s homes? Find out if a career in professional organizing is a perfect fit for you—learn more about QC Design School’s Professional Organizing Course!